Kenya has had a taste of the consequences of high costs of electricity and erratic electric power generation. Droughts experienced in recent years had driven water heights in major dams to precarious levels, that power industry authorities were left with no other conceivable choice but to rely on imported fuel to produce electricity. High cost of available fuel in the international market drove electricity prices up – a burden that would have to be passed on to industrial and private consumers that were fortunate enough to be connected to power lines. While rising energy prices were the bane of these end-users, approximately 90% of Kenya’s rural population and an estimated 45% of the country’s urban residents were yet to gain access to electricity, while a projected 60% of Kenya’s total population still used biomass as a source of energy for cooking. The energy situation in Kenya was far from being stable, to say the least. The country’s energy situation represented a daunting affair for any government to try to overturn. But somehow, something has to be started somewhere, so Kenyan authorities trained their gaze on renewable energy sources for solutions. Today, Kenya’s renewable energy sector is touted to be one of the most active in Africa, with investments in wind, geothermal, small-scale hydro and biomass rising from virtually zero in 2009 to approximately USD 1.3 billion in recent years. Kenya is considered to be the largest producer of geothermal power in Africa and is known as a world leader in the number of solar power systems installed per capita. Kenya’s renewable energy sources hold enormous potential. For instance, experts from the African Energy Policy Research Network 2004 observe that, at an average, Kenya receives an estimated four to six kWh per square meter per day of solar insolation, which is equivalent to about 300 million tons of oil. The study adds that most areas in the country can enjoy the benefits of solar energy, because they receive more than six hours of direct sunlight per day. Moreover, according to scientific studies, Kenya has one of the best wind resources in the world, averaging between three and 10 m/s, with northern Kenya even hitting record speeds of up 11 m/s. Experts suggest that wind energy facilities can be strategically installed along the coast and in areas where agricultural production is counter-intuitive, like in the Northeastern Province. The Lake Turkana Wind Project currently underway is poised to provide 300 MW of wind power to Kenya’s national grid. While the country has already been thriving in geothermal energy production, experts say that only two per cent of the country’s geothermal potential has been tapped, adding that the total estimated potential for geothermal power capacity in Kenya is in the area of 7,000 to 10,000 MW. Currently, the Geothermal Development Company has laid out plans to drill 1,400 steam wells to provide steam for up to 5,000 MW of geothermal power capacity by 2030. Beyond providing large-scale additional power to Kenya’s national energy generation capacity, renewable energy solutions hold a significance much closer to home. Owing to their flexibility and scalability, renewable energy sources could be locally installed in rural and urban communities, and in industrial facilities, encouraging power decentralization and source diversification. 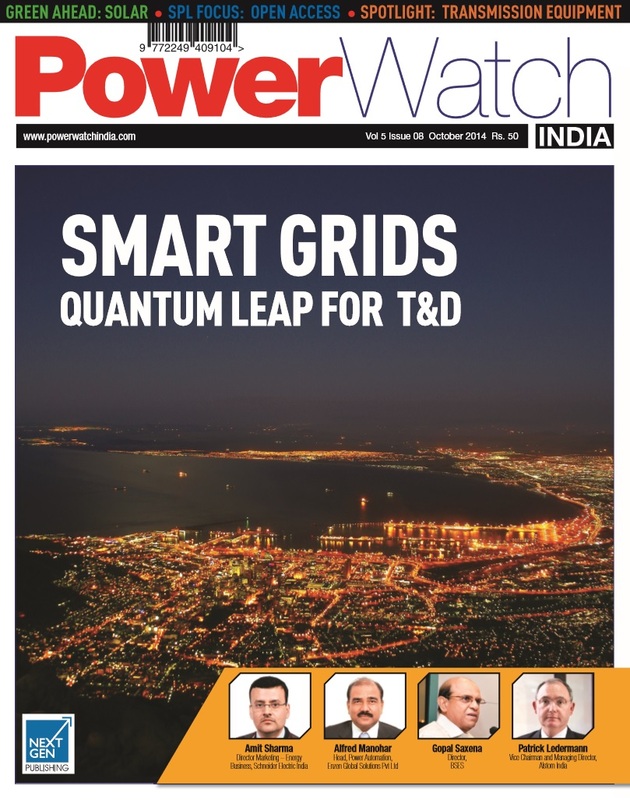 Experts opine that this fact can potentially be a workable solution to over-dependence on hydro and thermal power, which could at times be unreliable or expensive. Decentralized and localized renewable energy projects will find merits in terms of mitigating the risks of climate change and environmental degradation, as well as of the rising prices of fuel in the world market. Giving local communities and industrial players the opportunity to “create” their own power will additionally pave the way to fully capitalizing on the renewable energy potential of Kenya and to unraveling further economic growth. While localized renewable energy projects in Kenyan rural and urban communities and in industrial facilities are still in the nascent stages, there are technologies available that are able to sustain their progress and advancement. Mobile power technologies are designed and engineered to support power generation when permanent or renewable sources meet challenges in sustaining the electricity demand. 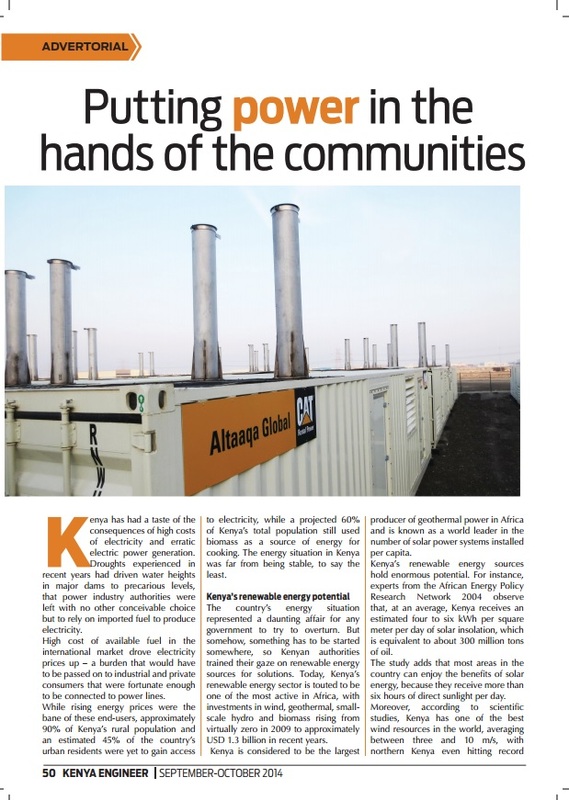 As national frameworks are created to promote renewable energy investments at the community levels, temporary power stations can provide the power supply that installed renewable facilities are still not able to produce. As wind or solar power plants depend on unpredictable natural elements for “fuel”, interim generators will be able to supplement the generated power in cases when wind or solar supply is insufficient. As Kenya improves its hydropower and thermal energy generation capacities, veering away from over-reliance on fossil-based power, mobile electric power stations will be able to support existing permanent power infrastructure in times when the national electric power requirement outstrips the supply. 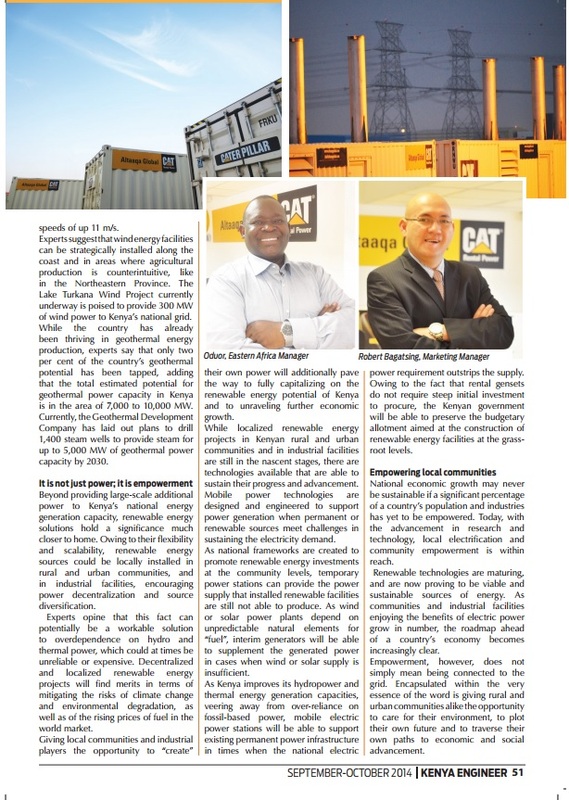 Owing to the fact that rental gensets do not require steep initial investment to procure, the Kenyan government will be able to preserve the budgetary allotment aimed at the construction of renewable energy facilities at the grass-root levels. National economic growth may never be sustainable if a significant percentage of a country’s population and industries has yet to be empowered. Today, with the advancement in research and technology, local electrification and community empowerment is within reach. Renewable technologies are maturing, and are now proving to be viable and sustainable sources of energy. 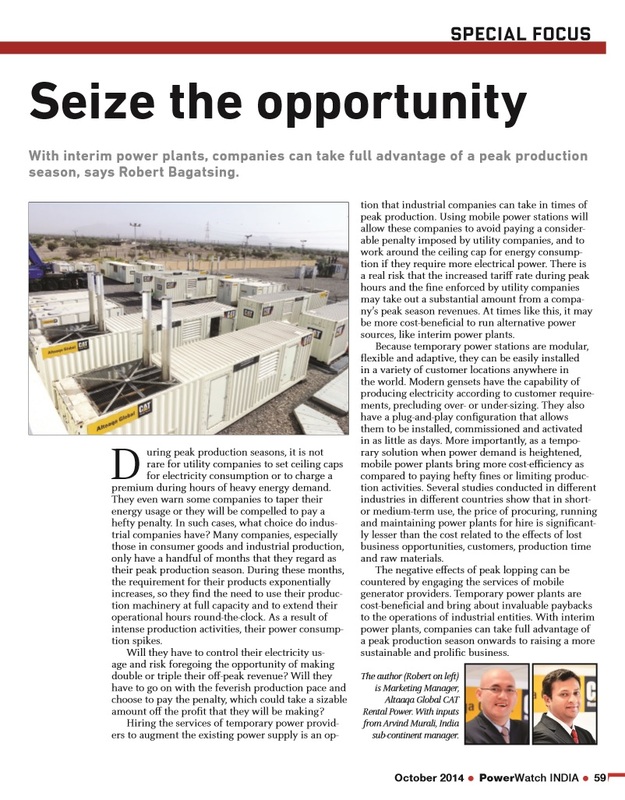 As communities and industrial facilities enjoying the benefits of electric power grow in number, the road map ahead of a country’s economy becomes increasingly clear. Empowerment, however, does not simply mean being connected to the grid. Encapsulated within the very essence of the word is giving rural and urban communities alike the opportunity to care for their environment, to plot their own future and to traverse their own paths to economic and social advancement. 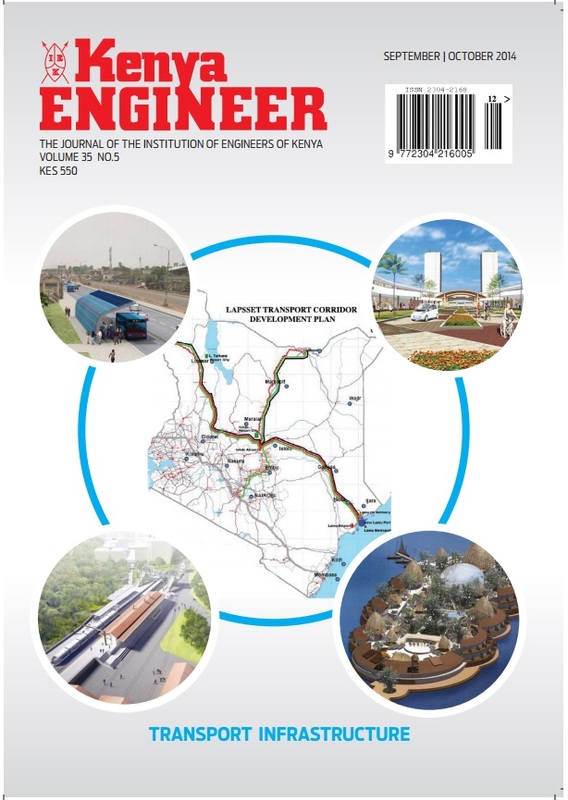 The foregoing article was originally published in the September-October 2014 issue of Kenya Engineer, published by Intercontinental Publishers, Kenya.